Where ? 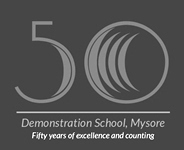 Demonstration School Premises. When ? 15th January, 2011 at 16:00 PM. c. Planning of future activities. We need.! Volunteers. mail contact number to dmsaam@gmail.com and we'll call you back.